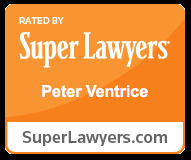 Attorney Peter Ventrice is a partner at the firm, and has been practicing since 1991. Mr. Ventrice earned a Preeminent “AV” Peer Rating from Martindale-Hubbell, which is the highest possible rating in both legal ability and ethical standards based upon a peer review rating process. He has been selected as a New Jersey “Super Lawyer” in the area of family law from 2015-2019 and in 2012, a distinction held by fewer than 5% of practicing attorneys in the State of New Jersey, and is based upon peer recognition and professional achievement. Mr. Ventrice is a Qualified Mediator, he has been appointed to serve as a Middlesex County Matrimonial Early Settlement Panelist, and he is admitted to the roster of Mediators for Economic Aspects of Family Law Cases by the New Jersey Courts under Rule 1:40. He has also been appointed to serve on the Middlesex County Assignment Judge’s Family Lawyers Committee. Mr. Ventrice is a member of the Family Section of the Middlesex County Bar Association and the New Jersey State Bar Association, a member of the New York State Bar Association, a member of the Association of Criminal Defense Lawyers of New Jersey, and was a founding member and Master of the Aldona E. Appleton Family Law Inn of Court. He is admitted to the Bar of the State of New Jersey, the United States Supreme Court, the United States Court of Appeals for the Third Circuit, the United States District Court for the District of New Jersey, and the New York Bar. Mr. Ventrice graduated with a Bachelor of Science from Lehigh University in 1987, and received a Juris Doctor from New York Law School in 1990. He has been recognized by Women Aware, Inc., for service to victims of domestic violence. He has also lectured on domestic violence, civil rights litigation, and criminal appellate advocacy. Mr. Ventrice's family law practice includes divorce, child custody and parenting time, child support, alimony, distribution of assets and liabilities, enforcement and modification of existing judgments and orders, and domestic violence restraining orders. He is also a qualified divorce mediator. Mr. Ventrice understands and appreciates that every family law case is of the utmost of importance to his client and his client's family. His practice also includes civil litigation in both State and Federal Court involving personal injuries, and workers' compensation. Mr. Ventrice also has an extensive appellate practice in various areas of the law, and he has argued appeals before the New Jersey Supreme Court, the Appellate Division of the Superior Court of New Jersey, and the United States Court of Appeals for the Third Circuit. Mr. Ventrice and his team at Brause, Brause & Ventrice, L.L.C., take a goal oriented approach to each case. From the first client consultation, he begins working with the client to ascertain the client's desires and expectations and to determine the most effective and expeditious path to achieve that goal. Whether a particular case requires zealous and aggressive advocacy or whether pursuing a settlement is indicated, Mr. Ventrice and his team at Brause, Brause & Ventrice, L.L.C., are committed to providing each client with the personal attention and professional representation that they deserve.